Find info on recent site updates right here! I'm always adding products, so stay tuned for more news! 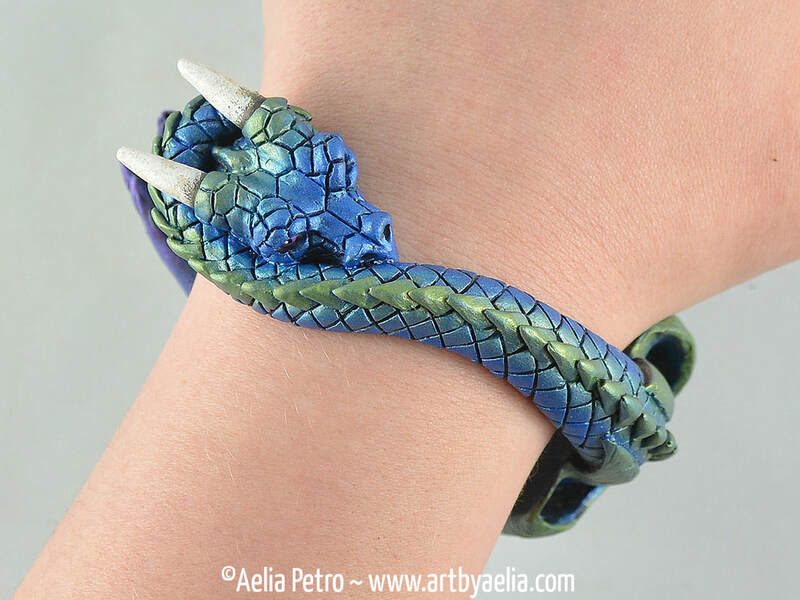 Dragon Bangle Bracelets are Now Available in the Shop! These unique bangle-style bracelets are made by hand, cast from a lavishly detailed sculpt and hand painted in an assortment of beautiful colours! 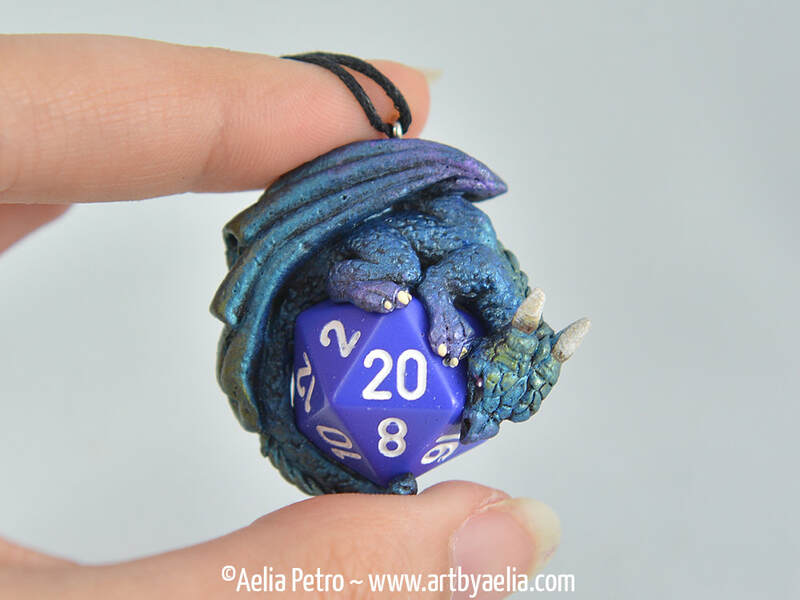 D20 Dice Dragons are Now Available in the Shop! These protective little dragons will keep a D20 safe around your neck, and accompany you on all of your adventures! Available in a variety of colours! Crystal Dragons are Now Available in the Shop! 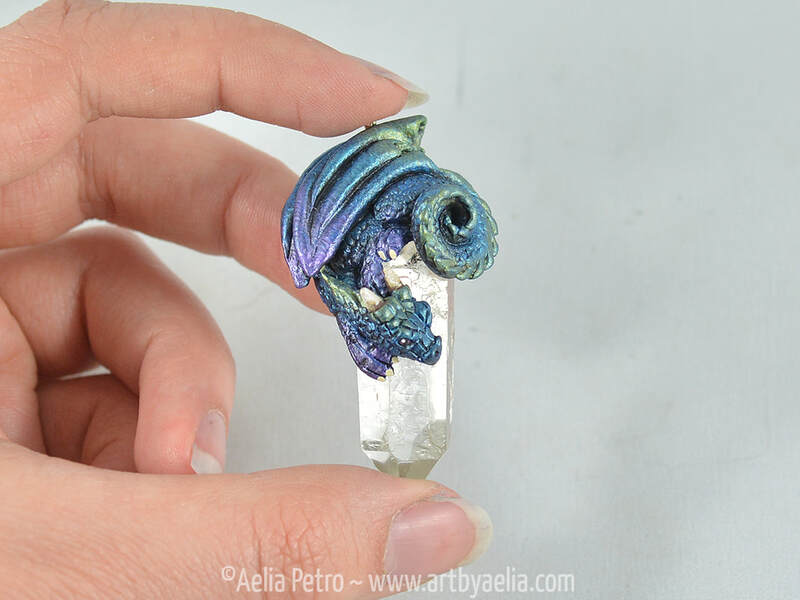 Fully 3D, these crystal dragons are sculpted in beautiful detail. They come mounted on a faux crystal and strung on an adjustable-length waxed cotton cord necklace. 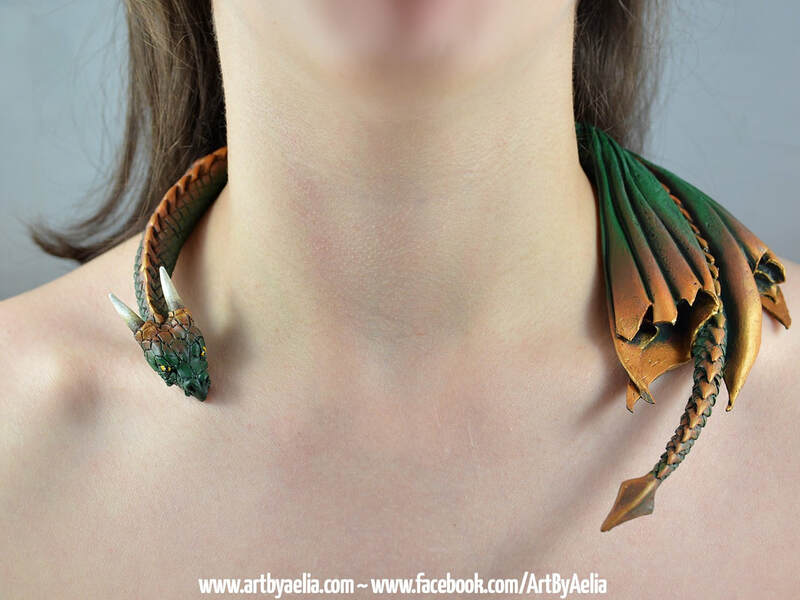 Custom Coloured Dragon Drapers are Available again! Have you been waiting to order a Dragon Draper in your choice of colours? Now is your chance! Custom Orders are open again. Click below for details. 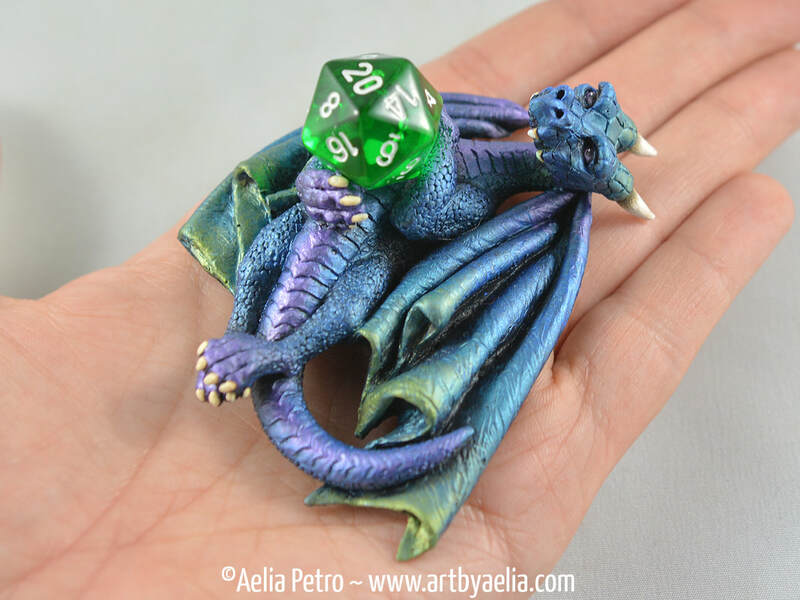 Dice Dragons are now available in the shop! Dice Dragons are here and ready to support your adventures! Also available with eggs instead of D20s. A variety of colours can be found. 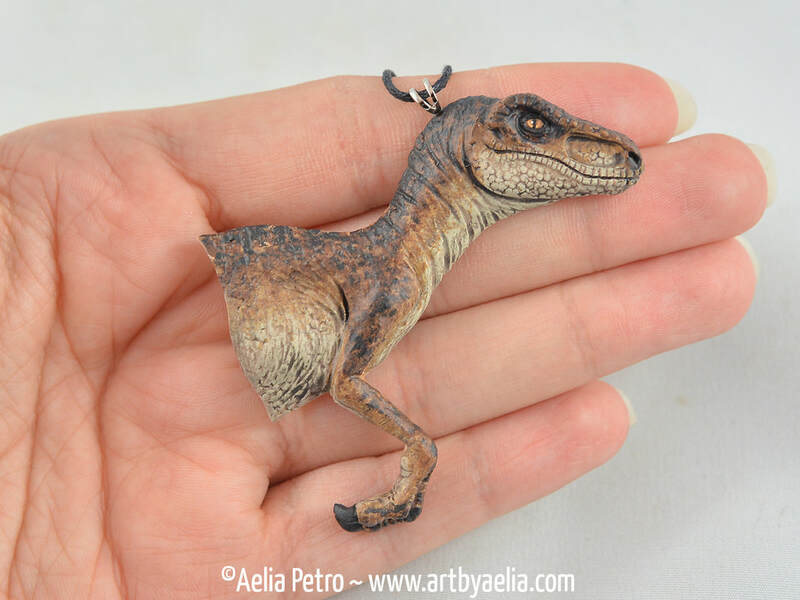 Dinosaur Necklace are available to order! Whether it's Jurassic Park, or merely a fascination with our beautiful planet's history, we all love dinos! Shop unique necklaces for many different species.